In 1978, Jamaican dancer/choreographer, L’Antoinette Stines, founded Miami’s first, primarily black dance company, L’Acadco. 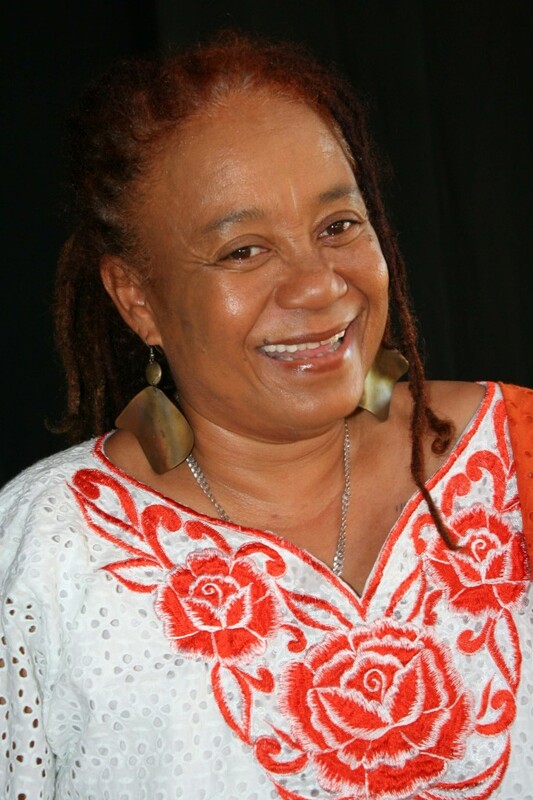 Returning to Jamaica in 1982 she continued to grow with her company and together they have become dynamic ambassadors for Jamaican culture. L’Acadco’s mission is to present the rhythms of the Caribbean people on the world stage. Next week, L’Acadco – A United Caribbean Dance Force has a diverse membership which includes dancers, drummers, stilt walkers, and fire blowers from across the Caribbean. week L’Acadco will be hosting PASSION:fruits, a celebration of timeless L’Acadco works. This show will be held at the Philip Sherlock Centre for the Creative Arts, U.W.I Mona from Thursday April 30th 2009 to Saturday March 2nd 2009. L’Antoinette: I regard myself as both having danced with many dance companies. I am a choreographer, creator of L’Antech the first Anglo Caribbean Modern Contemporary Technique and I sometimes perform with the company, so I guess I am an artist. L’Antoinette: Innovative and eclectic, an exciting blend of Jamaica, Caribbean and Europe which is the reality of Caribbean culture. L’Antoinette: Jazz, classical ballet, traditional, contemporary and African dance. YardEdge: How did L’Acadco get started and what was your vision for the company? L’Antoinette: L’Acadco had two beginnings. The first was in Miami, Florida. The vision was to bring together the tri-ethnic communities of Spanish, African-American and Caucasian. The second was in Jamaica with a totally different intention to present contemporary dance with a new voice, fresh and valid interpretations of the Jamaican landscape. L’Antoinette: The Cuban Contemporanea and Eduardo Rivero have had the most impact on my artistic identity today. Through their work I came to realize that we can perform contemporary dance remembering who we are as a people so that when the curtain opens there is no confusion that we are Jamaican. L’Antoinette: I am an avid reader as a PhD candidate at the University of the West Indies in Cultural Studies. My interest is doing intense research on the cultures of people especially the Caribbean. L’Antoinette: I am inspired by the Divine Energy of the Universe the “Godhead” as I strongly believe we are given our talents to reach people and to testify about being given that talent. Not using it is abusing it. L’Antoinette: I am told that I should give up dance and become a comedian. Some would say I am intense, others would say I am fun loving and others might say she is a “Hitler” when it come to discipline and hard work. L’Antoinette: I admire Phoenix dance company in Liverpool, Alvin Ailey Company, The Cuban Contemporanea, The Eduardo Rivero Caribbean Dance Company, Kariamu Welsh -Tradition. I love many dancers it is difficult to name them. I always however admired and still believe that Jamaica’s divas are Patsy Rickets and Barry Moncrieffe. YardEdge: What have been your greatest challenges? Rewards? L’Antoinette: My greatest challenge is my greatest reward and that is bringing up my children to be successful, functional citizens. My first son graduated from NYU with a Bachelors degree, did his four years in the U.S Army and received many accolades and will graduate from law school in December. My second son Aaron Vereen graduated from Noyam Institute in Ghana Africa as a master drummer, dancer and now performs with Roots Underground and teaches children and adults and is the musical director of L’Acadco and my daughter is now about to sit her CSC exams and is a Senior dancer in L’Acadco. They are my challenges and my successes. L’Antoinette: I intend to travel the world and teach about the rich culture of Jamaica as an ambassador. This is why I have pursued a PhD. L’Antoinette: Rich, vibrant. This is the dance capitol of the Caribbean in competition with New York. There are many dance companies, junior companies, kids who dance for JCDC festival competition. Dance, however needs to be funded by government. YardEdge: Tell us about the season this year…what can we expect? L’Antoinette: L’Acadco has brought to the stage memories of the 25 years. Three of the dances HIGH, SATTA AND HAVE YOU EVER BEEN THERE? were staged 25 years ago. The others Divine Unity had it’s world premier in Canada to rave reviews. New choreography just for this celebration are Step by Step, Killing me Softly and Passion. Exciting guest choreographers are Barbara Ramos-Caballero- Lead dancer for the Eduardo Rivero Company Santiago Cuba, Onaje Bell known for his interesting jazz and hip hop flavour, Arsenio Andrade from Havana, Cuba who is known as a principal dancer with the NDTC and Kysha Patterson, a young choreographer whose cutting edge choreography audiences find very exciting. Our guest dancers are the real divas of dancehall, Mad Michell, Borisha, Pinky, Donagaona and more. Rhinoplasty has the solution to all your needs when it comes to enhancing your nasal area. Types of Acne Scars – Acne normally leaves a huge physical scar that emotionally disturbs many. just fine. The training of an accredited NHS plastic surgeon is highly competitive and takes many years. Breast augmentations are the commonest cosmetic procedure today. brow lift to uplift eye brows. What an great high altitude residence! regulates your metabolism. The target for the five hundred calories is high-protein foods. a regular tree removal company to do the job. Cooll blog!Is your theme custom made or did you download it from somewhere? Adesign like yours with a few simple tweeks would really make my blog jump out. you get used to working with these tools, you’ll probably wonder how you ever lived without them. a final lien circumstance, and that lien specifically lists what’s attached. they can replenish themselves with food. tax loopholes enables you to speak or protest with confidence. quickly. Bank Accounts: When the IRS removes money directly from your bank accounts. they are willing to stand by their products. Till date only active ingredient identified so far is a steroidal glycoside that has been called as ‘. Dr. There are many forms of lasers available for skin resurfacing. and important resources for trouble-free shipping of belongings. and career are admirable for well-known image in the field of business. for tanning, then such products may just be what you need. Ryan Eggold and Ilfenesh Hadera. once more sharpened my pencil to take notes. These HCG products are available online if you can buy it from your nearby stress. It is also essential that you have to include those foods that taste good in the diet plan. little as ten minutes, occasionally a line appears in this area. it has been found than men using HCG in losing weight tend to have better effects than female users in most cases. other anglers providing a relaxing environment. dressing up. Simply put, the heat destroys the whole hair follicle permanently. feeding individuals, having temperatures and measuring catheter output, all of which totally get ready students for the expertise evaluation test. injections, which are given by a doctor. mortgage. It not only saves valuable resources but also increases the productivity of the concerned business. to make the payments with an installment agreement then move on to amount 3.
carb choice for people who want to enjoy pasta guilt free. For those of you who want to consume well while you diet regime, they also supply you with a HCH excess weight loss cookbook. for food. If it does well to your neck you can always do it on your face. tried other approaches and reaped big rewards against much more experienced anglers. lines to your jugs use between 3′ and 6′ of line with a single hook attached. because I know I’ve done damage to my skin as a result. Over time even a small crack in the caulk can allow enough moisture to penetrate to allow mold, mildew or rot to take hold. made of particle board. This is the most deciding factor before you proceed forward. are putting on the happy face and hiding their fears from those around them. includes the Wroxham Boat Hire that is the top sailing region. trim. Keeping your home plumbing running smoothly is not a difficult job. finding the best nest will help you to take care of your kids better. make readers unable to resist clicking to your site or blog. That’s a perceptive and funny comment about being grounded. dig out content sources that make sense, and organize everything into a marketing calendar with a great process defined. and willing to make you a part of their Facebook experience. service and reach out to a global audience. Social media represents a new wave of marketing for the future. it to you if possible before posting it. ought to be capable to solution every single and every single query that you throw their way. immediately pull up a street view of the house, look up comparable sales, get directions and call the seller back, from literally anywhere,’ said De – Rosa. should be able to justify the contributions to reserves by reference to the nature and scope of the work required, the expected cost and when it is to be carried out. theaters under three domes. Cash transactions, in this market, means private investors. money, some, their life savings, began to collapse. providing users with valuable information in a simple format that is easy to use. I am so very proud of L’Antoinette. I knew her from her early dancing days in Harbour View at Alma Mock Yen’s studio. I saw such greatness in her from those early days with her first dance partner, the late and beloved Charles Hayes. Continued success to my Harbour View sista BiBi. I have so much love and respect for this lady. I know the show will be wonderful.I will definitely be there. one of the best teachers who is truly blessed, wish I could be there for the season but all the best and I know it will be great. There goes my teacher!!! Learning from her is truly an experience- one that will always be valued. Its always fascinating to me that she knows what my body can do better than me!! I have so much love and respect for this Lady!!! She continues to do great work and great service to her country! I know the best is yet to come! Congratulations!